DStreet, a Denver-based communications firm, has been honored with two Hermes Creative Awards and a Gold Pick Award at the Public Relations Society of America (PRSA). The Hermes Creative Awards recognized work conducted in 2016 for Farm Credit. DStreet was recognized in the Public Relations Campaign and News Conference categories and was awarded a Platinum and a Gold, respectively. “DStreet has taken home a number of awards over the years, but it’s always very gratifying to be recognized by our fellow communicators,” said Jennifer Dulles, APR, DStreet president. DStreet’s entry for the PRSA awards, “Farm Credit Celebrates 100 Years of Service to Rural Communities and Agriculture,” was judged by the PRSA Greater Fort Worth Chapter. 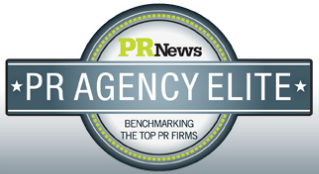 The PRSA is the world’s largest and foremost organization of more than 21,000 public relations and communications professionals across the United States. DStreet is a boutique consultancy that helps clients create defining moments through modern communications. The agency’s all-senior-level team partners closely with clients to help them deliver new products, services and ideas to their markets, to establish thought leadership positions, and to create the communications programs that help them succeed. For more information, visit www.dstreetpr.com or join the DStreet dialogue on Twitter at @dstreettweet or on Facebook at Facebook.com/DStreetPR.